You already know of my love of food trucks, especially when I’m in Los Angeles. Somehow, somewhere I had heard of Coolhaus Ice Cream Sandwiches and on one sunny afternoon during our summer stay in LA, I was determined to taste one. I consulted my iPhone app, TruxMap, and found Coolhaus parked near a Santa Monica office park. I knew Coolhaus shared my eating philosophy of quality and sustainability, so I had no guilt whatsoever eating this lunchtime treat. As for the calories? Well, if I’m going to indulge, I want to make sure it’s worth it. 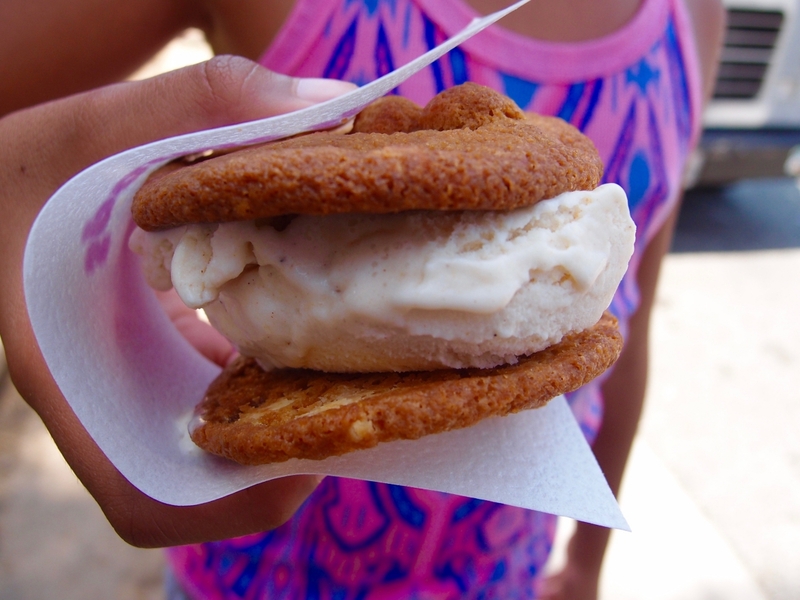 The idea is simple: choose your cookies and choose your ice cream and Coolhaus will assemble your sandwich. Or is that simple? I will tell you: it is not. With ice cream flavors like Brown Butter with Candied Bacon, Nutella Toasted Almond or Sea Salt Caramel and cookie flavors like Maple Waffle White Chocolate Chip, Brioche or Snickerdoodle, it is quite hard to decide which cookie and ice combination to make! After much debate, Girly and I decided upon Maple Waffle White Chocolate Chip cookies with Baked Apple ice cream. The cookies and the ice cream were delicious by themselves, but together they were an incredible perfect combination. 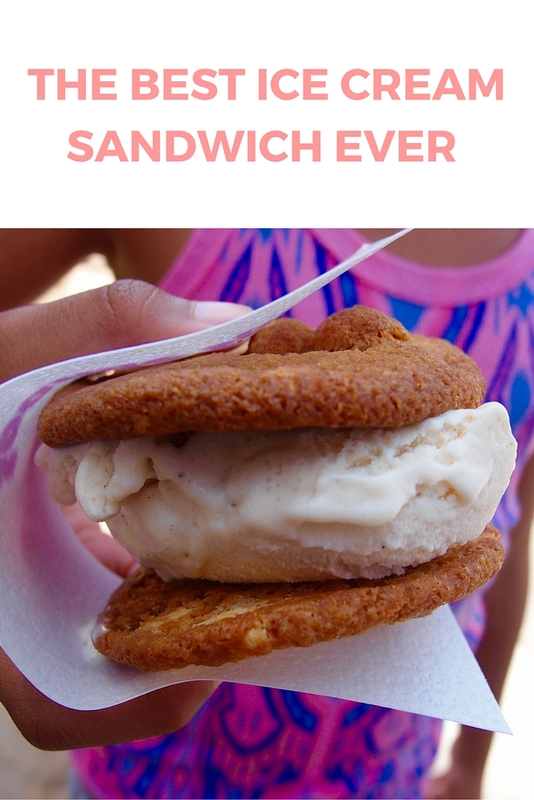 It was the best ice cream sandwich I ever ate! P.S. You may also like to read The Great Food Truck Race Comes To Atlanta.